As the oldest of four children and ten grandchildren I have grown up around new mothers and children. My passion for supporting mothers and families through the pregnancy, labor/birth, and postpartum journey has developed within the past decade as I have had the privilege to work in a variety of childcare and maternity care environments. Learning from these experiences I have decided to take doula-ing on full time and pursue this as my dream job. My first experience with birth came in grade eleven when I was able to job shadow a maternity nurse for several weeks. I fell in love with supporting mothers through their labors and births and was in awe of the awesome strength of these women. I was unable to provide any medical support during this time but was able to act in a doula-type role, supporting mothers emotionally, and continuously as they received incredible care from their medical team. I knew then, that wherever my life lead it would have something to do with this experience. I became a nanny in grade twelve and have now worked for a couple families who have graciously welcomed me into their homes and lives. This has given me a glimpse into what is involved in raising children and the adjustments that families go through when a new member is born. Working with older siblings as they get to know their new role in the family has been of special interest for me and I love the joy that new ones bring to their families. My post-secondary education has been largely health centred. I have studied health sciences at Simon Fraser University with an interest in public health and have also completed my first two years of midwifery training through the Midwives College of Utah. These experiences have pushed me further towards the doula path as I have been able to learn about some of the many needs of women and families in my community, as well as how to best serve them. 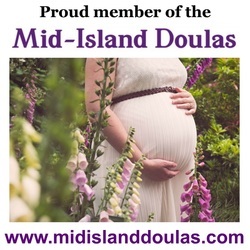 I took my DONA (Doulas of North America) Birth Doula training in 2010 and have attended many births as a primary doula. Working with a variety of women from different backgrounds has increased my awareness of the challenges faced throughout this life-changing process. I have spent the past couple years volunteering my services to young and single mothers as well as friends who have begun and expanded their families. Hospital to home births, natural births to elective caesarians, I am comfortable assisting families in a variety of settings. Supporting women in their postpartum period is of huge importance to me as I have seen too many women struggle with the many challenges that arise after their babies arrive. I took my DONA Postpartum Doula training in 2011 and have supported many families since then during the first several weeks and months after birth. I have helped families with multiples, postpartum depression, feeding (breast and bottle), sleep and soothing issues, sibling adjustment, and more since I have started. I offer a range of options and am more than happy to work with you to find solutions to your unique needs. As of January 2016 I have also begun sharing my experience and passion through several classes and workshops that focus on preparing families for the journey ahead. I love empowering birth partners to take on an active roll in the birth of their child and supporting their partner into motherhood. From single mothers, LGBTQ partners, grandparents, to husbands, I am always learning how to adapt the information to each unique situation. I have also attended several workshops and conferences related to pregnancy, childbirth, postpartum support, and breastfeeding guidance. I am always looking to expand my knowledge about these formative experiences in my clients' lives and stay on top of the most current information available. I moved to the Cowichan Valley in 2012 from Langford and am constantly falling in love with the beautiful people and scenery I am surrounded by. I am committed to serving the women and families living in the Victoria, Duncan, and Nanaimo areas on Vancouver Island. If you live somewhere outside of this area please feel free to contact me and I can help you, and/or help you find another doula to meet your needs. If you would like to know anything else about me please feel free to contact me and I will do my best to answer your questions.